On January 30, 2019 from 9:30am-4:00pm join us for a day of immersive learning, futuristic experiences, and visions of education to come from thought leaders in pioneering initiatives. Explore the frontiers of virtual learning with hands-on activities and learn about cutting edge initiatives at the institute and beyond. The event is free to the MIT community but registration (open in early January) is required. 12:30-2:00 (Lobbies 10 & 13) Learning Expo. Engage with thirty MIT initiatives from throughout the Institute. Lunch provided. 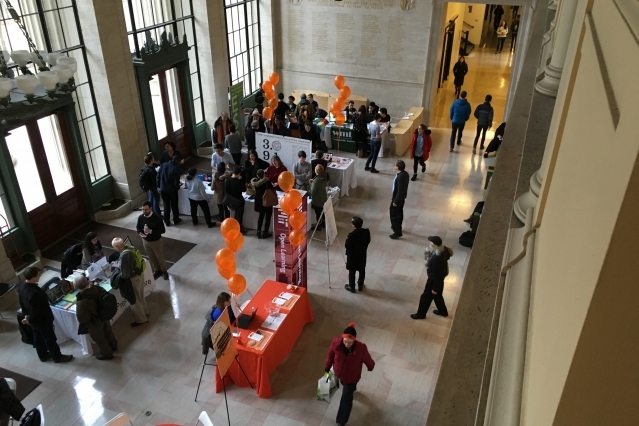 The Festival is free to the MIT community but registration is required. Registration opens early January. The Festival of Learning is a partnership between MIT OpenLearning (OL) and the Office of the Vice Chancellor.